We’ve spoken with two former burglars to create a guide to help you protect your home from burglary this summer, after recent crime statistics show that burglary increased by 9%* last year. In addition, our internal data has shown a 42% increase in demand for home security services. Take passports and driving licenses away with you: Criminals can easily commit identity fraud with this information. It’s a modern-day crime that is less risky and growing in popularity. Have a recording of a dog barking: A dog’s bark will make thieves think twice about breaking in. They’ll think that someone else is in the house or that the dog will attract unwanted attention to them. Install a deadlock: The installation of a deadlock will make it a lot harder and time-consuming to pick a lock. In most cases, a burglar will move on when they realise they’re up against a deadlock. Don’t post on social media: Too many people freely put information about their schedules on social media, which helps burglars when it comes to figuring out when to steal from a property. Check your home insurance policy too, as some may pay out less or not at all if you’ve published that you’re away on social media. Keep on top of your gardening: If the lawn is freshly mowed, then burglars will question whether a house is in fact vacant. It also gets rid of any potential hiding spots. Burglars will watch houses for a few days to see patterns of the occupants so it’s a good idea to hire a gardener to come around whilst you’re away. Install a burglar alarm/put a fake one up: This will deter any burglars from even attempting to break into your home. If you’re put off by the cost, sometimes just the sight of one will put a thief off so you don’t necessarily need to fork out for a real one. Install CCTV/put a fake camera up: Like with burglar alarms, these don’t always need to be functioning. If a burglar is casing your home, they’ll likely avoid yours because of the increased risk of getting caught. Make sure keys are hidden from sight: If someone can see keys from your window they’re more likely to break in. Keys will also give intruders access to other areas of your home, such as your garage, and your car. Buy motion activated lights: These lights will come on when anyone comes near your property, making sure that burglars can’t break in without being seen. Put WD-40 on your window sills: An unconventional but effective way to get rid of thieves trying to get in your home! The WD-40 will make it difficult for them to grip and use the window sill to climb into your home. “No one likes to think about their home being burgled, but it is definitely something that should be considered before you go on holiday for a week or two. With peak holiday season coming up, we wanted to make sure everyone’s home is as protected as it can be. Luckily, there’s a lot you can do yourself to keep burglars away. 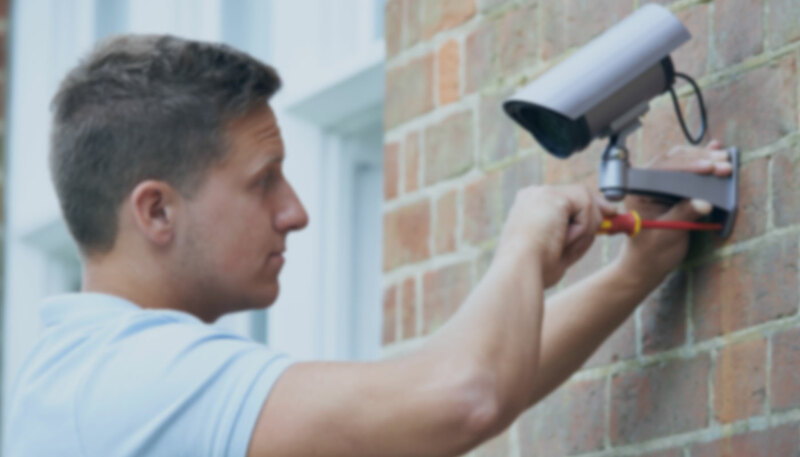 “When we noticed the increase in demand for home security services like intruder alarm and CCTV installation on Bark.com, we decided to speak with former offenders to help make people’s homes as safe as possible. Next Next post: Hate football but like working? Well we’ve got just the job for you!